CBD oil, 500mg cannabidiol content, created from some of the best organically grown hemp in Europe. 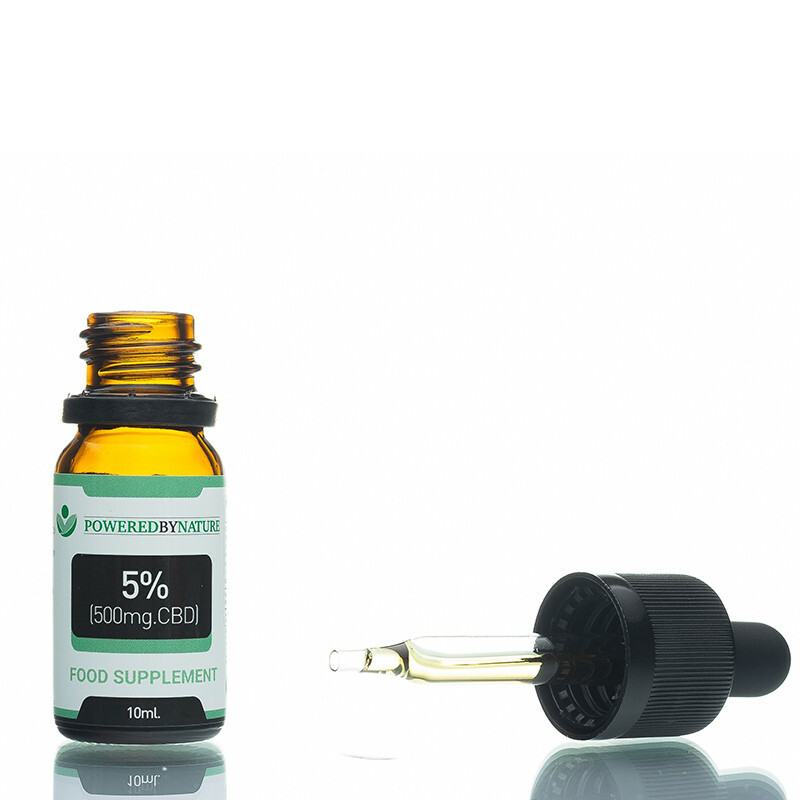 Our 5% CBD Oil is one of the highest quality organic oils, created from some of the best organically grown hemp in Europe, by a team of highly experienced people, with the help of technology, while respecting nature and natural way of living. ALL OF OUR OILS ARE 100% NATURAL AND ORGANIC. We do not allow the use of any pesticides, fungicides, herbicides, chemical fertilisers, genetically modified products or growth hormones to be used anywhere in our production process. 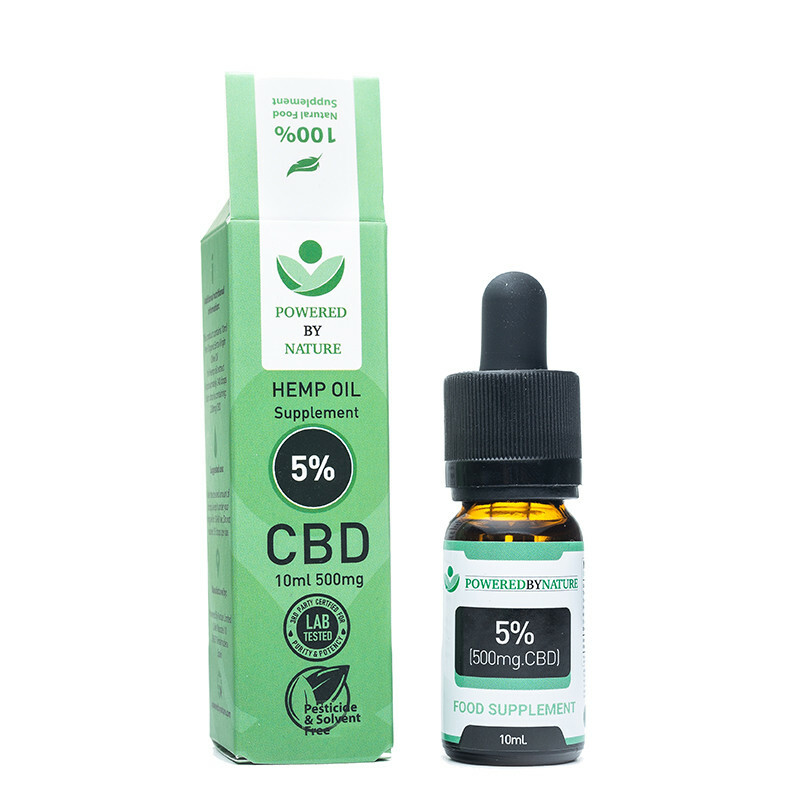 Not only is our hemp organically grown, but it has also been selectively and naturally bred to ensure that its CBD content far outweighs that of normal hemp – boosting the power and purity of Powered by Nature´s oil. All of our CBD oil is lab tested. We test for CBD content, other cannabinoids, contaminants, dangerous bacteria, mould and funguses to ensure both safety and quality. All of our products are kosher friendly, vegan and lactose-free. Organic extra virgin oil and decarboxylated hemp oil (decarboxylation is the process of heating oil extracts with CO2. In our hemp oil, the process turns CBDa into CBD). 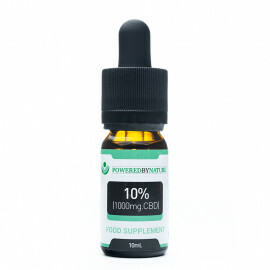 The oil is free from pesticides, herbicides, heavy solvents and other toxic substances. We recommend to store the oil in the refrigerator or in a cool, dark place. CBD is not psychoactive. CBD is a non-psychoactive cannabinoid and it won’t get you high at all. We don’t make any medical claims – Our products are food supplements, it’s not intended to diagnose, treat, cure or prevent any disease.